We as a people have for a long time had a culture where we gather in groups at local pubs and in friend’s living rooms to watch and cheer when our favorite sports teams and players are competing. While doing so predictions of all sorts have been made, such as who will win the match, make the first score, triumph in the tournament and even if one player will bite another one in the ear. In the heat of the moment it’s not too uncommon that we’re putting money on our predictions, which just adds an extra layer of excitement to the already thrilling and competitive atmosphere. As long as can be remembered people have had a passion for betting and predicting outcomes on other people’s performances. It’s simply a long line of deep historical culture that we have inherited and are part of when we’re sitting with our buds on Skype watching world class eSport tournaments play out in front of us. I’m sure that not only I but many of you who are reading have predicted the outcome of a match together with a friend who didn’t agree with your analysis, only to lead up in a bet where the loser had to give the winner a free lunch or something similar. It’s all for the sake of fun since having something at stake bring so much excitement to the whole experience of watching a competitive match play out. Today it’s possible for mature gamers to take the deep rooted gambling culture that we have inherited to the next level since eSports and betting is just at the end of our fingertips. Instead of challenging a bud for a meal we are able to compete against odds compilers online for real money. 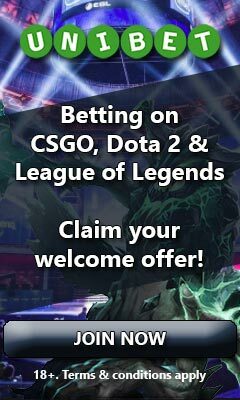 There are a lot of different once to find from the several eSport betting sites that exist these days and many of them are offering live odds on plenty of eSport tournaments going down. Instead of challenging and betting against each other we can now work together to make a profit by finding the most favorable odds and by making the right predictions. It can be quite a buildup and pre match fun just to scan through the various bookmakers for the best odds. Having an open account with several different ones is of course to an advantage here. As soon as the match starts, you can really feel the excitement throughout the body. The bet has been placed and there is money on the line as Twitch is unfolding the event in front of our eyes. Esports and betting is just a perfect combination that makes the entire experience of following competitive matches that much better and the convenience that today’s betting platforms bring is simply amazing. There are times when betting against a professional odd compiler just don’t cut it; when we get a calling from the ancient lineage of punters that we all come from; when the nature of setting our own rules on our own predictions awakens. Maybe we just want to see if someone is brave enough to challenge our prediction or maybe we want to make as much of a profit as possible. We do of course refrain from turning to our buds as we wouldn’t want someone from our inner circle to suffer the economic defeat from our brilliance. We spare them from the misery and instead we turn to an eSports betting exchange; a place where any punter can go up against another for the ultimate showdown of being the master of predictions. The idea is the same as betting against the odds compiler, but instead of this entity being the king of the hill you and your opponent will agree on the odds and take faith into your own hands. Imagine the look on your challenger’s face when you witness the team you have favoured steam roll his on stream. It’s a similar feeling as you get when clutching a victory as the underdog, but on a kilo of steroids. No matter how you choose to place your bets the conclusion is clear – eSports and betting just work fantastically well together.